*1.9% APR, no down payment required. Available on new 2019 Discovery Sport, Discovery and Velar models financed by Jaguar Land Rover Chase Financial. Example: For 1.9% APR, monthly payment for every $1,000 you finance for 60 months is $17.48. Not all customers will qualify for credit approval or advertised APR. Offer ends 4/30/19. 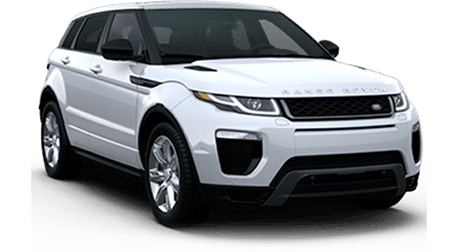 **$2,000 Factory Rebate from Land Rover and available on new 2019 Evoque modelds and $1,000 rebate from Land Rover on available Discovery Sport, Discovery and Velar models only. Must take delivery by 4/30/19. *1.9% APR, no down payment required. Available on new 2019 Discovery Sport, Discovery and Velar models financed by Jaguar Land Rover Chase Financial. Example: For 1.9% APR, monthly payment for every $1,000 you finance for 60 months is $17.48. Not all customers will qualify for credit approval or advertised APR. Offer ends 4/30/19. **$1,000 Factory Rebate from Land Rover and available on new 2019 Discovery Sport, Discovery and Velar models only. Must take delivery by 4/30/19. My relationship with Niello Land Rover began in 2004. I had leased a Freelander from Hubacher and had a child on the way. The Freelander certainly won't thrilling, so I opted to get a new 2004 Disco II from Niello. Their pricing for the last of the generation was exemplary. I loved the vehicle and brought my son home from the hospital in it. At 88,000 miles, it was traded in for an LR3. Lost that one in a divorce, and bought yet another LR3. That Rover was the best! Tough, easy on the wallet for service costs, and of course, I got to visit with the friendly service team. To be fair, I have not purchased a Rover since Tata took over, but wow, the dealership made me feel like family when I was there. My son is now old enough to pine over a Discovery Sport. Maybe I'll be back at Niello Land Rover sooner than expected! A Land Rover combines strength and inner beauty to create the perfect package. These are true SUVs that are built to explore, built to have fun, and built to provide luxury. If you are in the Sacramento area, then you need to see the Land Rover models that we have in our showroom at Land Rover Sacramento. We have all the latest models including Discovery Sport, LR4, Range Rover, Range Rover Evoque, and Range Rover Sport. If you are looking for a high-end pre-owned vehicle, then browse through our inventory to see if we have a vehicle that suits your tastes. We even have a wide selection of Certified Pre-owned Land Rover models and we can provide any Land Rover service or maintenance that you may need. The Niello family has been in the automotive sales business since 1921. We have seen other brands come and go, but today, we are proud to have Land Rover as one of our premium brands. From our Sacramento location, we can serve all of the surrounding areas including Roseville, Folsom, Elk Grove, and Davis. Whether you are new to Land Rover or a Land Rover veteran, you need to see the latest models we have in our showroom. Come see us today or arrange a test drive today.